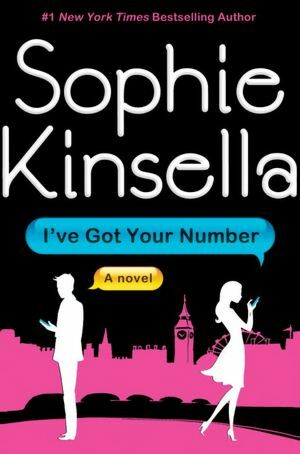 I need to preface this review by confessing that I’m a huge Sophie Kinsella fan. I don’t know her personally, but would love to meet her if the opportunity presented itself. I’ve enjoyed all her books ever since Becky Bloomwood confessed her shopaholic tendencies and Emma Corrigan confessed her secrets to a stranger on a plane. 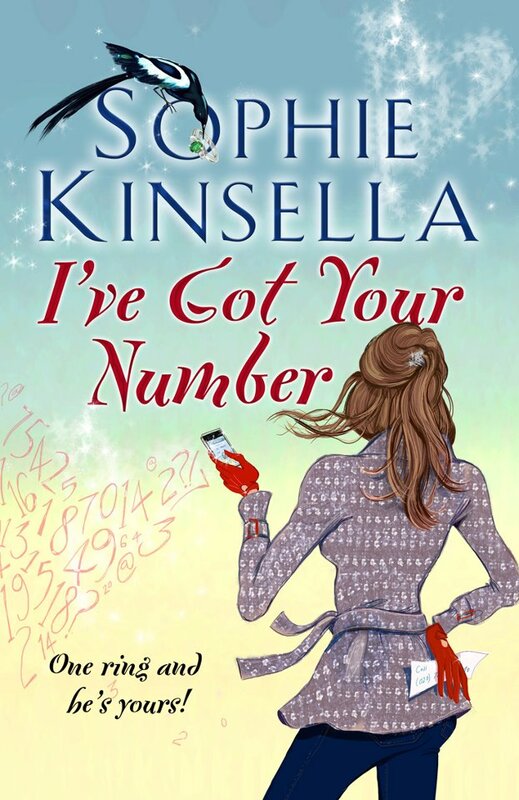 She’s never disappointed me and her latest novel, "I’ve Got Your Number" (coming to retailers on Valentine's Day) has only reminded me how much I love her writing style! Poppy Wyatt has just lost her engagement ring in the middle of a crowded hotel. To top it off, her cell phone is stolen on that very same day! What’s a girl to do? How about taking a discarded cell phone from a trash can and claiming it for herself? That works until Sam Roxton, the owner of the phone realizes it’s missing and tries to get it back. But not before she makes heaps of trouble for him and pries into his personal life! In the meantime, she has a wedding to plan and a ring to find. When she gets in too deep with the messages on the phone, will she be able to help Sam in his time of need? And if she does, will he be able to return the favor? Ms. Kinsella has really hit another one out of the ballpark, so to speak. I was drawn into the story from the first page and unable to put it down (aside from work, responsibilities at home and sleeping). 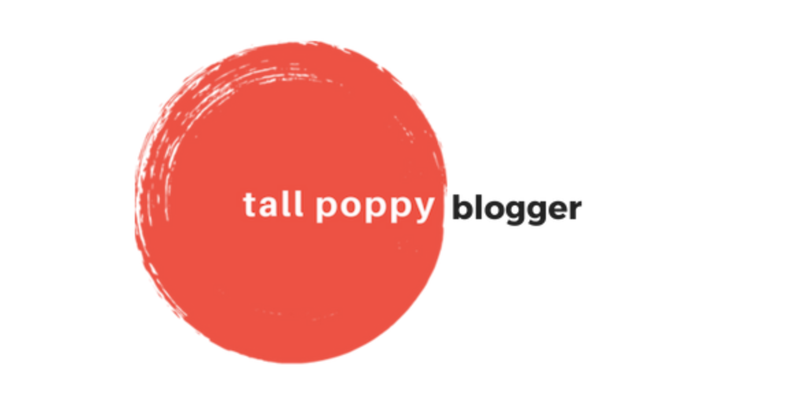 I found myself laughing out loud at Poppy’s antics and embarrassing situations. Ms. Kinsella characterized her so perfectly that I felt she was real. I could easily see myself being friends with Poppy! There were so many factors to this story, but they fit together nicely and it flowed easily. The supporting characters were really fun and interesting too, and they added a lot to Poppy’s drama. I never got bored and was just compelled the whole time, trying to figure out what would happen next. I did have some small criticisms that did not take away from the enjoyment of the story, but I felt needed to be expressed. The first was all the "corporate speak." 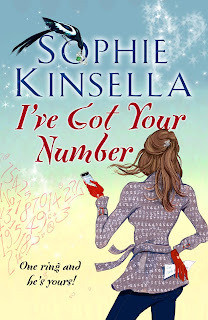 If Ms. Kinsella’s goal was to leave her readers as confused as Poppy was anytime she received a message from one of Sam’s business colleagues, then she was successful in that endeavor. That, along with the linguistic chatter from Poppy’s fiancé and his family, made for a lot of blank stares on my end. Also, I felt that Sam changed his moods much too quickly. He’d be extremely mad at something Poppy did one moment, and then would go all soft on her the next. Overall, I loved this novel. It was a perfect way to start off the New Year and highly recommend it to anyone who wants a fun and sweet story. I’m already anticipating her next novel! In the meantime, I hope "I’ve Got Your Number" will be optioned for film, as it would make a great chick flick! Special thanks to Transworld UK for the advanced copy in exchange for an honest review, and for sharing ONE copy with a lucky reader ANYWHERE IN THE WORLD! 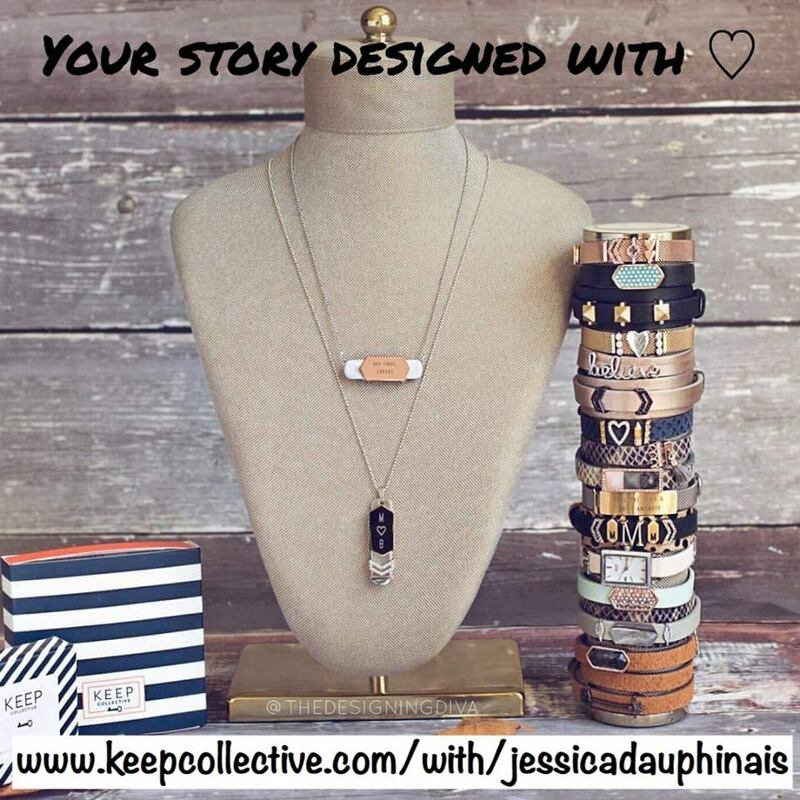 Giveaway ends February 5th at midnight EST! To find our winners, we assigned a number to each entry and had random.org choose five numbers. I want to thank everyone for entering my give-away and/or taking time to read about my chick-lit short, "Oh, Baby." I had a lot of fun writing it, and hope readers are pleased with the result. 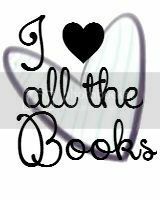 A special thanks to both Melissas and Amy for their terrific site, Chick Lit Central--I've made so many friends and discovered tons of great new books since joining! Thanks to everyone for participating. Thanks to Claire for a lovely interview and for sharing her e-book with our winners! Laura Spinella is anything *but* a disaster and she has a book to give away! Today, we welcome Laura Spinella and her debut novel "Beautiful Disaster." (It came out in January 2011, but is still at the forefront of the chick lit scene.) Laura grew up in Long Island in the 1970s with very traditional parents. Luckily, her older sisters were model children who followed the rules and actually listened to their parents' advice, leaving the door wide open for Laura to try bucking the system by deciding she wanted to be a singer. Sadly, that dream died when she discovered that she couldn't carry a tune in a bucket. She turned to writing, and actually wrote the outline for "Beautiful Disaster" during her college years. Fast-forward 20 years, zooming past her time living in the south, a freelance career writing for magazines and newspapers, and even writing a column at one point, and we'll meet the Laura that's here with us today: a wife, a mother to three (to seven if you count two dogs and two kittens), a house outside Boston, and a published novel. Thanks to Penguin we have TWO copies of "Beautiful Disaster" to giveaway to some lucky readers anywhere in the US or Canada. Visit Laura at her website, Facebook and Twitter pages. I’m still waiting for the certificate to come in the mail. Actually, I first thought that validation would arrive with the sale of my novel. Honestly? It didn’t make a difference. Then I assumed I’d feel like writer when I saw BEAUTIFUL DISASTER in bookstores. It didn’t change anything. There was the hope it might sink in after the book, to my amazement, picked up an award or two. That didn’t make a conscious difference either as to how I felt about myself as a writer. So, I’ve kind of concluded that writer is just who I am, kind of like I have brown eyes and really wide feet. It’s just part of the Laura Spinella package. However, I will cop to this much: Occasionally, I’ll pass by the copy of BEAUTIFUL DISASTER I keep on my bookshelf and think, that’s pretty cool. Any tips to share with aspiring writers? Lots of people will be willing to critique your writing. This is a good thing. Always be grateful if someone is willing to take the time to read and offer thoughtful criticism. That said, be careful what criticism to you take to heart. If you are lucky enough to find one or two people whose advice you trust, whose thoughts prove worthy, hang onto them. In my experience, that’s a very rare thing. IDK, sloths have it pretty good. They move, like, two inches a year and eat a vegetarian diet. Moose are cool too. Nobody messes with a moose, and if one wanders into your backyard, chances are it makes the evening news. Ultimately, however, I have to go with the mythic unicorn. They spend most of their time in fairytales and have no natural predators. Also, when was the last time anybody said a bad word about a unicorn. Tell us three authors have most influenced you the most. Laura Ingalls Wilder. I read those books until I basically had them memorized. I was absolutely obsessed. Then last year I moved onto…. Just kidding. But those books were my absolute foundation as a writer. I don’t write children’s books, I base very little on personal experience, and I’ve never been to South Dakota. Clearly, however, the idea of putting a story on paper generated from her writing and those books. As an adult, I’m a huge Jodi Picoult fan. All her books influence me, the style of the writing, the voice, the way she layers a plot, weaves a tale. But I think it was MERCY, one of her lesser known books, that really turned my head, gave me real incentive to become a published author—or at least try. Always, Ann Lamott, she’s just so brilliant and funny and full of smart advice. I’ll tell you a little secret, I’m not good at retaining books, author, characters, words… they tend not to stick for very long in my head. I think everything she ever wrote was committed to my memory on the first pass. For me, that’s huge sign of influence. I do have a day job—two of them! I freelance for GateHouse Media; they own oodles of newspapers in the New England area. I’m also the Editorial Director for AuthorBytes. This is a new gig, and kind of a dream job. AuthorBytes is a web designer that specializes in author websites. They did my site for BEAUTIFUL DISASTER. The owner, Steve Bennett, thought it would be beneficial to have a published author “in house.” As to why he chose me… You’d have to ask him! In the past few months I’ve learned mucho computer geek stuff and had the opportunity to interface with lots of authors—some of them bestsellers. I write in the mornings and switch to my AuthorBytes hat in the afternoon. It’s a fascinating side of the publishing world, particularly with technology and social media changing on a daily basis. If "Beautiful Disaster" were made into a movie, who would star in the leading roles? Mine, so I could edit it some more. It’s amazing what occurs to you after they’ve printed it! Has Jodi Picoult done an anthology yet? That way I could take more than one of her books me. I suppose I’d have to pick a classic, maybe "Wuthering Heights" or a more modern story, "To Kill a Mockingbird." Of course, if I’m on a desert island, "Lord of the Flies," "Robinson Crusoe" or "Unbroken" might offer some necessary survival skills. Tell us a few movies that feel like chick lit to you. Oh gosh, can I phone a friend? I don’t watch very many movies. And if I go back in time to when I did watch more movies I’d really be dating myself! Okay. "The Sure Thing," 1985 John Cusack, Chick Lit before its time! If you haven’t seen it, get it! "Fever Pitch." I know it’s a baseball movie, so how can it be Chick Lit? What can I say? It combines an adorable love story and the Red Sox. I’m in. Also, it has Drew Barrymore. Doesn’t that make it Chick Lit by default? Can I pick a TV series for the third one? "Gilmore Girls" was my television Chick Lit—sharp, sassy and an eye for fashion. Oh, sure, why not ask the gluten-free girl which food group she misses more! Actually, I swing both ways. Thankfully, I can still do Lays potato chips and a Hershey bar. Raw almonds and M&M’s are the perfect combo any afternoon! I am about two keystrokes away from finishing revisions for THE IT FACTOR—and, actually, I’m toying with a title change: AN INTIMATE FRIENDSHIP. Maybe this would be a great forum to gather some feedback. I’d love to know which one conjures up more intriguing imagery. Aidan Royce, rock icon, has it all, money, fame, and an incredible life. The one thing he doesn’t have is Isabel Lang, the girl who left him on their wedding night in Las Vegas. Fate brought together a spitfire Jersey Girl and Catswallow, Alabama’s own Conrad Birdie. Circumstance drove them apart. Seven years later, Isabel works at 98.6—The Normal FM for Easy Listening. It’s a classic AM format with a touch of irony. It’s also a world away from Aidan’s rock-n-roll life. When the station is bought out, demanding a huge promotional event, the always independent Isabel has no choice but to contact Aidan. He’s the boy she loved, the one she left to secure his amazing future. Special thanks to Laura for not only answering our questions, but really letting us into her head. Thanks also to Penguin for sharing "Beautiful Disaster" with our readers. US/Canada only. Giveaway ends February 5th at midnight EST. Here’s an interesting scenario: What if you got a second chance at doing it all over again with the guy you know is THE guy for you, but unfortunately, he’s the guy who got away? That’s what Autumn Cole gets a shot at doing with the love of her life thirteen years after things go terribly wrong in THE "WHAT IF" GUY by Brooke Moss. After a few weeks together with Henry Tobler, Autumn finds out she’s pregnant, but it’s with another guy’s baby. 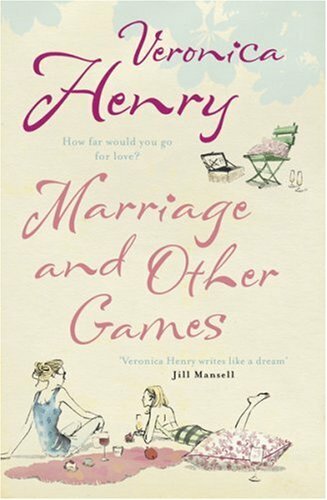 Even though she hasn’t slept with Henry, she knows he’s the one she truly loves, so what does she do? Well, not knowing what to do, she says bye-bye to Henry and leaves town pregnant. Fast forward a dozen years, Autumn and her now twelve year-old son, Elliott are moving from Seattle to a home in the eastern sticks of Washington state where neither of them want to go. And guess who they run into the first day of school? Henry stood frozen in place, staring at me as if I were a ghost. I’d just seen my "what if" guy for the first time in thirteen years. Everything is very complicated for the characters living in the small town of Fairfield, Washington. This is the town where Autumn grew up and she left on bad terms. The main reasons she’s back are because she’s lost her job and her father, the town alcoholic, is dying, so she needs to care for him. Some of the people she left behind feel she thinks she’s too good for them, but now she’s come down a few pegs and they plan on letting her know. Henry has his secrets, too and he’s moved to Fairfield to start all over. Obviously, neither Autumn or Henry expected to see the other, but now that they’re here, they’re going to have to make the best of it. Living in a small town is never easy, and you can expect lots of drama, as well as resolution, from THE WHAT IF GUY. I think if asked, many people would say they would take a second chance in love. Why not? But since that’s not likely, why not enjoy it through Brooke Moss’ novel. You can find Brooke Moss on Facebook, Twitter and her website. 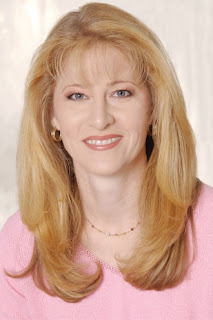 Terri Giuliano Long's ode to book bloggers...plus a special contest! 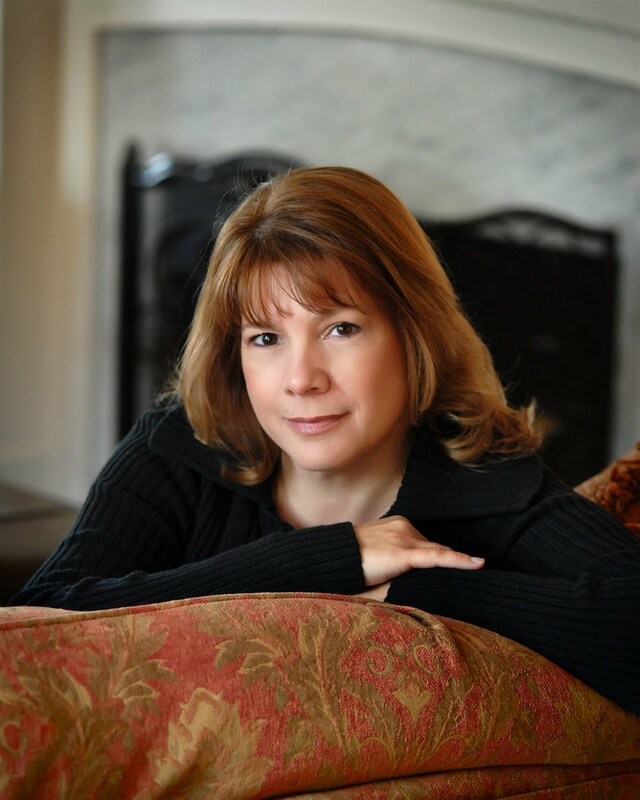 Terri Giuliano Long is the bestselling author of the award-winning novel "In Leah’s Wake." Her life outside of books is devoted to her family. In her free time, she enjoys walking, traveling, and listening to music. True to her Italian-American heritage, she’s an enthusiastic cook. In an alternate reality, she might be an international food writer. She lives with her family on the East Coast and teaches at Boston College. "In Leah’s Wake" is her debut novel. This week, Terri and Inspired Quill Press (paperback edition), launch a newly edited edition of "In Leah’s Wake." The newly edited novel features a new chapter and several new scenes, adding new connections and insights, and tightens the book, cutting 60 pages – all while maintaining the integrity of the original edition. 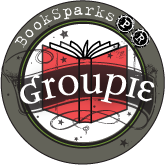 Today, Terri is here to tell us why she loves book bloggers, which makes us so proud to be part of this special group! She's having a photo contest on her Facebook page that ends TOMORROW. If you're quick at taking pics, there's a $50 Amazon gift card up for grabs! Visit Terri at her blog, as well as on Facebook and Twitter. Over the next few months, "In Leah’s Wake" appeared on hundreds of blogs. 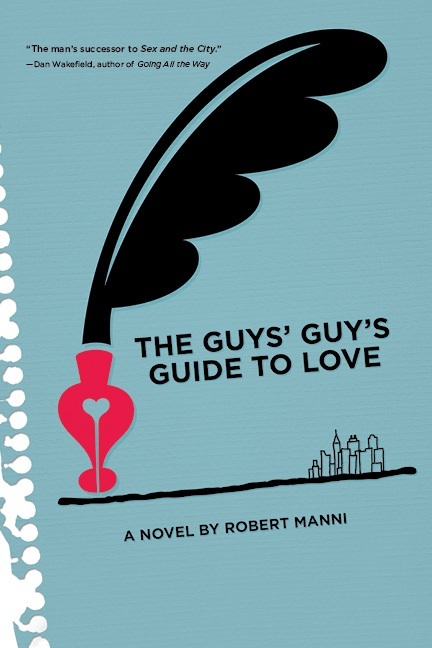 Bloggers opened their hearts and spread the word about this quiet literary novel. 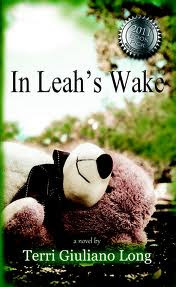 In August, "In Leah’s Wake" hit the Barnes & Noble and Amazon charts. Now, seven months after my talk with that agent, the book has been in the Amazon top 200 for over five months, and we’ve sold just shy of 80,000 copies. Even today, traditional media refuses to recognize or review indie books. 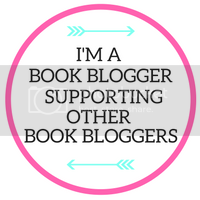 In this very real sense, book bloggers are the heart and soul of the indie revolution. Their vision, their energy, and their determination have enabled this amazing populist movement to take hold. Today, we have the great fortune of hearing the funny, poignant, intelligent voices of new authors from around the world - voices that, just a few years ago, might have been silenced by the gatekeepers of the old guard. These voices reach into hearts and minds, forging connections, uniting us in a community of readers and writers, searching for and finding, through words, the better part of ourselves. Because, truly, at heart, this is what reading and writing is all about. Special thanks to Terri for her lovely salute to book bloggers and to Novel Publicity LLC for including us on Terri's blog tour! 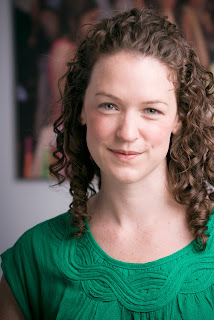 Rachel Bertsche can be *our* BFF and she has a book to give away! I have a few things in common with Rachel Bertsche. She lives in Chicago and I grew up in the Chicago suburbs. 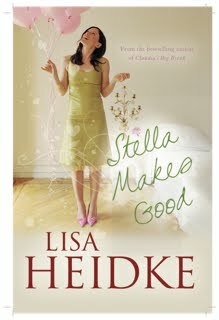 She's interviewed many celebrities and I've interviewed many authors who are celebrities in the chick lit world. We're both pop culture fanatics. We're both Jewish. And we must not forget about the curly hair! Finally, she's moved around a couple of times and had to make new best friends wherever she went. I can completely relate to that, as I have moved from a place where all my closest friends, including my BFF, live and first moved to a town in NJ where I had a really hard time finding a new best friend. (If I had met Amy five years ago, this wouldn't have been such an issue.) Then I moved to the DC area. While it was easier to make friends here, most of them don't know who I was before I became who I am now. 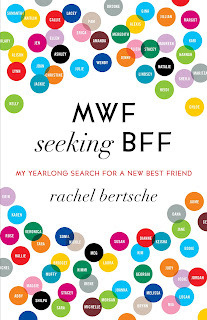 So I'm glad that Rachel wrote "MWF Seeking BFF," which speaks to the best friend seekers in us all. Overall, Rachel is an incredibly warm and friendly woman. Just ask one of our guest bloggers who met her last week at a book signing in the Chicago suburbs. Rachel is here to talk to us about "MWF Seeking BFF" and thanks to Random House, we have TWO copies to share with lucky readers in the US. Before you read ahead, check out the trailer for "MWF Seeking BFF." It's cute and funny! We'd love to hear about your unique experience and research behind "MWF Seeking BFF" Do you work with an outline, or just write? When I first started out, with the outline and the first couple of chapters, I just wrote and kind of waited to see what came out. As the year progressed, and I had more and more adventures, I started leaving notes all over my desk. It looked like a chaotic mess of notes that said "Chapter 7 - IMPROV!" and "Chapter 13 -- Asking out waitress!" I'm not the most organized person in the world, so I guess that was the closest I came to writing with an outline. A couple of times I tried to outline, but as the words came out they often took me in a different direction than the outline detailed, so it never seemed to really make sense to keep doing that. I only ended up feeling bad when I didn't stick to the plan! On the day that my book hit shelves, I was at the local bookstore at 9 am on the dot! I had to see it to believe it! My mother and brother and I took a family trip to see "MWF Seeking BFF" on the shelves. Then I got a manicure, and went to lunch--margaritas included!--with one of my new friends. That night was Hanukkah, so we had a joint holiday/book celebration. It was the best day ever! What are some tips you can share with future writers? Don't worry so much, yet, about the publishing process. I hear from so many aspiring writers who want to know everything about the book business before they ever put words on the page. Start by writing. Get your story, or at least the beginning of the story, on the page before you start to worry too much about agents and editors and how much you will sell it for. If "MWF Seeking BFF" were made into a film, how would you go about casting? Who would you cast as yourself? In the book, I say that I want Rachel Bilson to play me in the movie of my life. And that's still true! Lately, I've been hearing from everyone that Emma Stone reminds them of me. I think it must be the freckles, because otherwise we really don't look alike. But I take it as a compliment. I'd kill to look like her! Well, part of me wants to say New York City, since that's where so many of my lifelong BFFs live. Another part of me wants to say Hong Kong, or Paris... just because that sounds really fabulous. What type of literature do you enjoy reading in your spare time? I read a lot of fiction and a lot of memoir. I try to read a little of everything. My favorite thing about being in a book club is that I am forced to read all sorts of different stuff. The last bunch of books I read were "Girls in White Dresses" by Jennifer Close (Women's Fiction), "The Statistical Probability of Love at First Sight" by Jennifer Smith (YA), "Is Everyone Hanging Out Without Me? And Other Concerns" by Mindy Kaling (Essays), "Outliers" by Malcolm Gladwell (Non-fiction) and "The Glass Castle" (memoir). So I'm sort of all over the map. Oh man. The difficulty I'm having answering this question is telling me I need to be more spontaneous. Ummm... Once I decided at the last minute to sneak away from a family Cape Cod vacation to go visit my boyfriend in Washington DC. I told my parents I had to go home to visit a friend and hopped on a bus. It was definitely the sneakiest thing I've ever done. Luckily, that boyfriend turned out to be my husband. My mom heard that story for the first time when my brother outed me at our wedding! Any upcoming projects you are working on that you can share? I'm pretty focused on "MWF Seeking BFF" right now, but I am thinking of my next project and hoping to send a proposal for book two to my agent very soon! Special thanks to Rachel for chatting with us and making us want her for a BFF! 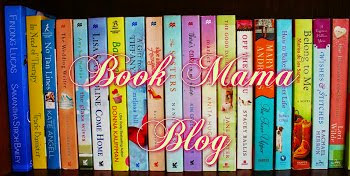 Thanks to Random House for sharing "MWF Seeking BFF" with our readers. 1. Please tell us: What is your favorite thing about your BFF? To find our winners, we assigned a number to each entry and had random.org choose two numbers. It picked 10 and 46. Congrats to Ananda and Erik! Thanks to everyone for participating. Thanks to Natalie Aaron and Marla Schwartz for a fun interview and to Samantha from Chick Lit Plus for including us in the blog tour and sharing the e-books with our winners! It's not a coincidence that my BFF of almost 25 years told me about a local "Meet the Author" event featuring Rachel Bertsche. Even though she's been gone from the area for several years, my BFF still somehow knows about all kinds of events going on in the area and will frequently send me e-mails about ones she thinks I would enjoy. This time, her e-mail came as no surprise to me as I had just told her about a blog that was giving away a copy of Rachel's book, "MWF Seeking BFF." She knew I was quite interested in reading the book because even I have struggled over the years when it came to making new friends. When I walked in the small auditorium at the Highland Park, Illinois library, I noticed Rachel and her husband standing at the back of the room. I wanted to say hello and let her know how excited I was to read her book; instead my inner wallflower quickly passed by them, took a seat and immediately e-mailed my BFF. The subject line simply said, "I'm Here." The body of the message continued my thoughts with "And feeling shy already! I want to go up to the author and tell her how excited I am about her book. Dorky I know!!!" What I also really wanted to say was, "I wish you were here," but I choose not to include that thought. Moments later, my BFF replied back and shared with me that she gets "star-stuck" at book readings and I wasn't dorky at all. The event started out with Rachel reading three excerpts from her book. One from the introduction, one from halfway through her year of "friend dates" and one from closer to the end of the project. Then she opened up the floor to questions. The excerpt reading was the shortest portion of the event. Most of the time was spent in a question and answer session. Amongst the many things that I found interesting about the evening -- remember this is a topic I'm greatly interested in -- was the fact that the demographic of those in attendance was more around my mother's age group than mine. Up until this event, I've failed to see that making new friends is an issue that affects women of all ages. As I tried to balance my iPhone so the video I was taking didn't come out too jumpy, I listened intently to these women ask questions. What I liked about the questions being asked was that they didn't solely focus on the book itself. Don't get me wrong, there were a lot of questions about the book and Rachel's journey which was interesting as well, however many focused on the ever changing dynamic of friendship itself and the different issues we as woman face when it comes to making friends overtime. A woman sitting in front of me had a question that stood out to me. It focused on making friends later in life. I immediately thought of my mother and my observations of her friendships throughout my lifetime. Like me, my mother has many friends she's known a majority of her life, but she also has had to go out and make new friends as life ebbed and flowed. I will admit it wasn't until recently that I really understood where she was coming from and could truly appreciate her experiences in this area of life. This was one of many reasons I wanted to tap the shoulder of this woman sitting in front of me and let her know I had a great mom I could "set her up with," but opted not to do so as I wasn't sure if my mom was in the market for new friends. After an hour had passed the floor was closed to questions. Rachel was going to now sign copies of her books. As I stood in line, a nice lady randomly asked me and the person standing behind me, "Can you tell how young people make friends in this area? My daughter just moved back to the area from college and she's having trouble meeting new friends." My ears perked up and I suddenly found myself engaged in a conversation about making friends as if I was an expert in doing so when the truth is I am nowhere close to being an expert in this area. The irony of this whole conversation is that I now have a "friend date" from that particular conversation. Or, if nothing else, at least a plan to meet someone to discuss how to make new friends. Funny how things work, isn't it?! I have to admit, I'll be interested to see if I myself make a new friend from this chance meeting. When it was my turn to get my book signed by Rachel, I set down my copy expecting her to immediately open it up to sign. Instead, she warmly extended her right hand and said, "Hi, I'm Rachel." For a moment I was taken aback as this was the first book signing an author had ever done such a thing. It was a gesture that truly appreciated and made me feel as though I was actually talking with a friend. I had only one question for Rachel which I had decided to save for when I met her face-to-face. Like Rachel, I met my BFF when I was young child. It wasn't until sometime in the past few years that I really recognized how rare it was to have a lifelong best friend as I did and I wanted to know what effect her year long search for a new BFF had on her existing BFF relationship. Did she come to appreciate it more as I have come to appreciate mine? Does she just assume after a short period of time her new friends will know her just as well as her lifelong friends do? After she answered my question we chatted for a bit further on this topic, she signed my book and graciously agreed to take a picture with me. By the end of the exchange I felt as though I had a new BFF ... or at least a new friend. As I was getting ready to head home, I touched base with my BFF once again. I wanted to tell her all about the evening and how wonderful Rachel is. However, this time I didn't e-mail her -- I called. I wanted to tell her all this instead of writing about it. I also wanted to tell her thank you for all our years of friendship and for all the years of friendship to come. Unfortunately I got her voice mail. Since I'm not the best at leaving messages on voice mail I made things as short and sweet as I could. Something to the effect of "I had such a good time; I can't wait to tell you about it!" I didn't, however, tell her thank you which is why I am dedicating this post to her. She is my sister, a confidante and my rock. I couldn't imagine life without her. Tracey Meyers lives in the Chicago suburbs and enjoys photography, running, roller derby, knitting and, of course, blogging. She is currently helping us with social media and blog stuff, so you may be seeing her around more often.You can find her at her personal blog. She apologizes for the absence of pictures, but the few that she took did not turn out well due to bad lighting. 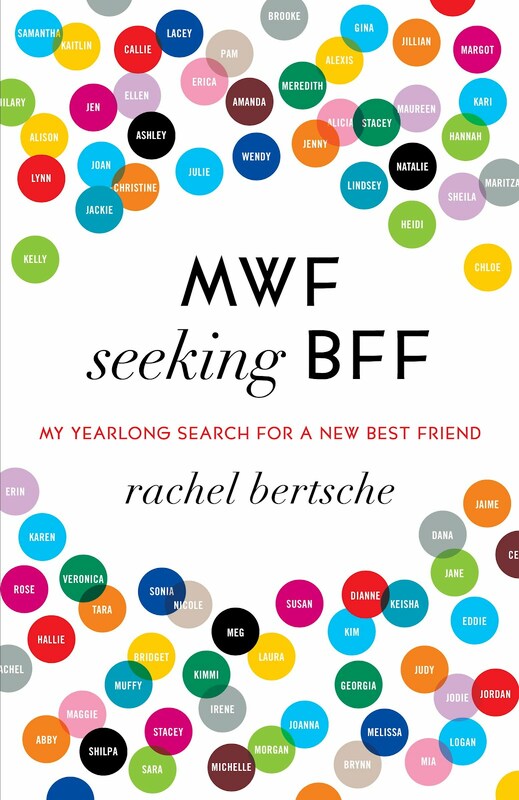 Rachel Bertsche will be at Chick Lit Central tomorrow and some lucky readers in the US will have a chance to win "MWF Seeking BFF!" She's no stranger to success...Laura Pedersen was once the youngest columnist for the New York Times, and was also once the youngest person to have a seat on the floor of the American Stock Exchange. Now, she's a best-selling author of twelve (that's right...twelve) books, and has appeared on David Letterman, Oprah, and the Today Show, to name a few. Also, in 1994, President Clinton honored Laura as one of Ten Outstanding Young Americans. You'd think all that would wear a girl out, but Laura just keeps on carrying on! She still writes, and also teaches at the Booker T. Washington Learning Center in East Harlem. 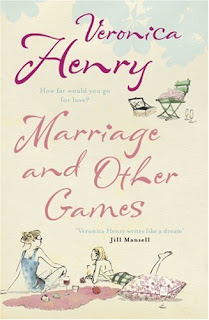 Her novel "Fool's Mate" (reviewed here) is actually titled after a chess strategy. 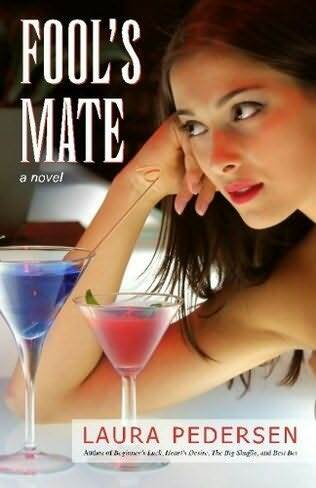 Thanks to AuthorsOnTheWeb, we're giving away TWO copies of "Fool's Mate" to some lucky readers in the US and Canada. What kind of research did you do for "Fool's Mate?" I’ve been on news channels such as CNN, MSNBC and FOX, and even had a TV show of my own for several years that ran out of a busy studio. With regard to the news biz itself, I wrote for The New York Times for twelve years and come from a newspaper family. I even reworked a couple of practical jokes that had been played by or on my grandfather, who wrote for a number of Buffalo papers and also The Philadelphia Inquirer. Do you have a favorite character or one you most identify with? How do you approach your writing? Do you plot or go with the flow? I think my heart lies with Josie, who is struggling to get her life together. Although Fool’s Mate is intended to be a funny romantic comedy, alcoholism is a serious problem, and Josie is indeed an alcoholic at the start. Even though my grandfather was a wonderful writer, the joke in our family was that the best stories weren’t by him but about him. He was often over-served at local taverns, got into mischief, and had to switch jobs with a certain amount of regularity. I think a good story results from a strong plot and that’s something you need to plan ahead of time. Not necessarily every detail, but you need to know where your characters have to end up for the story to work. When my first book, "Play Money," came out I enjoyed going to bookstores and gazing at it with disbelief. Fortunately, you don’t need an excuse to stand in the aisle and do that for long periods of time, or else I would’ve been arrested for vagrancy. I don’t celebrate by having a drink since obviously that can lead to problems in my family. What is one piece of advice you'd like to share with future writers? Having a newspaper column with a strict deadline forces you to manage your time, not procrastinate, and blow through writer’s block as well as inconveniences such as food poisoning. So usually if I don’t want to work on an essay or a book chapter it means there is a big problem with the plot or a character’s arc, in which case I need to find the trouble and create a fix or abandon the project altogether since it’s not going to work even by inserting zombies. If "Fool's Mate" were made into a movie, who would you cast in the leading roles? I’m sure there are a lot of great young actresses who could play Josie as being smart, intrepid, slightly rogue, and largely self-destructive. Calvin needs to be more solid, earnest, and preppy. Josie’s boss should be an experienced loud-mouth who is dedicated to the news business and has an eye for real talent when he finds it. Actually, I don’t see enough of the current pool of performers to decide. My six stepsisters can argue for days over imaginary casts for my novels so I’ll ask them to work on it. However, they usually reserve a few minor parts for themselves. I’ve always been attracted to the vibrancy of New Orleans. It’s unlike any other place I know and has been a magnet for many of the writers I admire such as Tennessee Williams, Kate Chopin, Michael Lewis, Lillian Hellman, John Kennedy Toole, Renee Peck, and Truman Capote. There will always and only ever be Bill Moyers for me. He reads essays on PBS that he writes himself and they are in and of themselves a Master Class in the art of writing when it comes to clean, concise and powerful prose. Otherwise, I always have a soft spot for female comedians, like the sassy waitress played by Kat Dennings on Two Broke Girls and the mother on Two and a Half Men, played by Holland Taylor. Early Roseanne did a good job of representing life in the 1980s for the working class in the American Midwest, right down to the afghan over the back of the couch, Dads who hang out in garages, sending the check to the electric company without a signature in order to buy more time, and stretching the meatloaf with filler such as Quaker Oats. I recognized all of that. Special thanks to Laura for answering our questions so eloquently and to AuthorsOnTheWeb for sharing "Fool's Mate" with our readers. 1. Please tell us: Which TV show, book or movie reminds you most of your own life? US/Canada only. 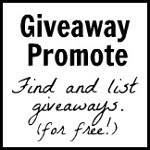 Giveaway ends January 30th at midnight EST.